We love to hate on them, but have to admit that they make dramas so much more interesting. Here’s our #MSM Rankings for the worst of the worst villains and foes that made us grit our teeth while watching them scheme and plot away! ANNA: Guo Fu from Return of the Condor Heroes (HK) – This character from any versions of this drama is annoying and spoiled, but I’m specifically talking about the 1995 HK version with Louis Koo as Yang Guo. She didn’t know how to do anything but throw temper tantrums when things didn’t go her way…including chopping off poor Yang Guo’s arm during an argument! Arms are kind of a necessity in martial arts. Such a stupid girl. ESTELLE: Kang Se-ah (Han Sunhwa) from Marriage, Not Dating (K) – Talk about desperate! If asking your ex-boyfriend nicely to supply the sperms to create your future child does not work, then try locking him up in a secluded hotel room with you. And if that doesn’t work? Well, tattle to his mommy. That always does the trick, right? ESTELLE: Wen Xin (Hai Lu) from Because Love How Beautiful/Yin Wei Ai Qing You Duo Mei (C) – Woman CANNOT stop for a second and tell the truth; lies just spill out of her mouth like there’s no tomorrow. The worst thing about her is that she always plays the victim and dresses up stories so she sounds innocent and pitiful. I mean how can she be good when she schemes to break up her sister-in-law’s marriage? That’s right, she’s eyeing her husband’s sister’s husband. What a witch. Ironically Hai Lu played Zi Wei, the ultimate sap, in the new Huan Zhu Ge Ge. Wen Xin, probably scheming again. Sigh. ANNA: Shui Ming Ha (Yoyo Mung) from Heart of Greed (HK) – She broke up the Linda Chung/Raymond Lam couple in this drama by having an affair with him even though he was her best friend’s boyfriend. The Rayda couple wasn’t my OTP from HoG (Linda & Moses Chan, holla! ), but I was still pissed off that she literally went out of her way, like outta the country, to seduce him. Honorable mention goes to Athena (Vivian Yeo) from War of In-Laws II (HK). She’s a husband stealer that broke up Bosco and Myolie in the drama. Boscolie, my most beloved TVB couple! ESTELLE: Zhi Hua (Qin Lan) from HZGG III (C) – Didn’t even watch this one because the whole cast changed, but I did read this book and the whole entire time I was wishing Zhi Hua did not exist. I mean I get that the royal family wanted her to marry Yong Qi, but seriously, she became the permanent third wheel. I did feel sorry for her, but not enough to wish Yong Qi and Xiao Yan Zi stayed in the palace. 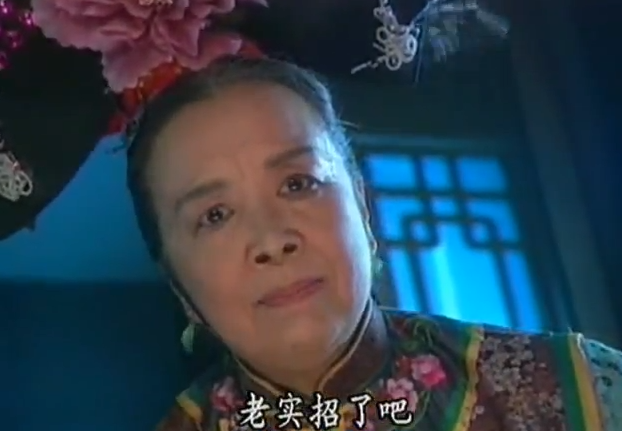 ANNA: Rong Mo Mo (Li Ming Qi) from HZGG (C) – You knew that nothing good could happen when this old lady [and the Empress] popped up on screen. She had an inexplicable vendetta against Xiao Yan Zi (Vicki Zhao) and Zi Wei (Ruby Lin), even though they never did anything to her. She was always armed with her weapon of choice, acupuncture needles, to better stab them. Seriously, crazy old lady. ESTELLE: Ji Qing Yun (Zhang Yi Wen) from Hu Shan Xing (C) – He is the kind of friend you wouldn’t even wish upon your worst enemy. He tries to get with his best friend’s wife by pretending to help the couple reconcile while in reality he is worming his way in between. He ends up successfully separating the couple by taking advantage of the wife after getting her drunk. How did she manage to stay passed out the whole time remains a mystery to me. Another run in with the law, erm, I meant Rong Mo Mo. ANNA: Wing Tak (Dominic Lam) from A Fistful of Stances (HK) – He repays the people that took him in when he was literally left for dead on the streets by murdering them. Then, he spends the next 20+ years figuring out ways to ruin their family’s life, including burning down their pharmacy, trying to lock their mom up in an insane asylum, poisoning meds, haboring fugitives, and the list goes on. It’s no wonder that his son is also crazy evil…must be in the genes. ANNA: Lee Jae-kyung (Shin Sung Rok) from My Love from Another Star (K) – This dude was legit evil for the sake of being evil. I guess he sort of wanted the inheritance, but he was already the boss! No explanation is ever given for why he’s always running around murdering people, including his own brother, and locking up people in mental asylums. Feel free to unabashedly hate him because the show apparently does too. ESTELLE: Gook Yeon-jin (Kim Gyu-ri) from Cunning Single Lady (K) – All she does is try to solicit Cha Jung-woo’s sympathy in desperate attempts to get with him. And when he does not comply, she throws spiteful tantrums about how he was “hers” despite the fact that they never dated or were even close to being in a romantic relationship together. Her and her brother make a sad pair of villains who pretty much don’t affect the OTP or the story line at all. The CSL brother sister duo in their own pity filled world. ANNA & ESTELLE: Anna…no relation (Bianca Bai) from Fated to Love You (TW) – She tried to trick Xin Yi (Joe Chen) into signing an abortion agreement because she was jealous that her boyfriend/baby daddy was in love with Xin Yi. Going after an innocent baby?! Unforgiveable! She wasn’t even that sorry when she got busted for it later on, and instead tried to make Cun Xi (Ethan Ruan) feel guilty. And she was a terrible ballerina too, so ha! So congrats, Anna. Throughout all our drama-watching, you take the crown for being the worst person to ever grace our TV screens. Props, Anna, for making us feel like this. Tell us in the comments who were some of the infamous drama villains that made your blood pressure rise while watching them. Hell hath no fury like a drama-watcher scorned!